A wonderful training opportunity on coalition-building is coming to WNY! On Tuesday, July 29th, Px21 is sponsoring “Community, Coalitions, and Connections: WNY Working Together” from 9:00am - 4:15pm at the Bulger Communications Center at SUNY Buffalo State. Nationally renowned experts from Community Anti-Drug Coalitions of America (CADCA) will be conducting the training, the goals of which are to build capacity, increase effectiveness, help local coalitions and community groups work more effectively on their goals, and to realize the benefits of working together. It will help align various methods of community work and participants will learn the principles of the strategic prevention framework. While the training has some orientation toward substance use prevention, the principles at the heart of the training have broad applicability to coalition work aimed at healthier communities in general. Please click on the attached registration and flyer for more information. After careful deliberation, Px20 has decided to re-badge itself as Px21 with the goal of providing prevention and health promotion for the 21st Century. This slightly modified moniker helps to reflect an orientation toward broader behavioral health as well as our focus on the future and building stronger and healthier communities in Erie County. Px20 - Talk it Over! Due to the generous grant from the Peter and Elizabeth C. Tower Foundation, Px20 was able to launch a media campaign encouraging parents to talk to their kids about substance use. Obtain resources for talking with your kids on the "Talk It Over" page of the Px20 website. As a part of National Prevention Week, Western New York United Against Drug and Alcohol Abuse lead a community campaign known as "I Choose." Community members created posters showing what they chose to make them happy as alternatives to alcohol and other drugs. Check out the slideshow to see some of the posters by clicking on the "Read More" tab. Px20 Receives Generous Tower Foundation Grant! Drinking on St. Patrick's Day?? If you drink too much, downtown, as a bartender for a St. Patrick's Day Taxi Voucher. The Erie County Sheriff's Dept. is sponsoring free cab rides with Liberty or Yellow Cab March 15th through noon March 18th. Undersheriff Mark N. Wipperman threw out the first pitch at the Bison's Game on August 27th. He also spoke about underage drinking and Px20! The Sheriff's Department purchased 100 tickets for the game and gave them to local youth. 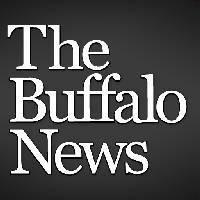 The Buffalo News recently posted an article regarding local underage drinking arrests. Excerpt from article below: Erie County Sheriff's deputies arrested 31 youths for underage possession of alcohol after being tipped off to a party in the Village of Alden last Thursday night. Follow the link above to read the remainder of this article. Px20 coordinated and participated in a pre-prom event at Holland High School on May 18th. The Erie County Sheriff's Department also revealed their new underage drinking billboard. Px20 members partnered with Tops Friendly Markets to kick-off Alcohol Awareness Month (April) by coordinating a press conference and conducting an in-store Project Sticker Shock effort. For more info on Project Sticker Shock call ECCPASA at 716-831-2298. The Erie County Sheriff's Office of Underage Drinking Enforcement/Prevention Unit launched a new billboard campaign addressing underage drinking. Several billboards can be viewed in the Buffalo area. Binge drinking is an increasing problem inWestern New Yorkas well as throughout the country. A new report published by the Centers for Disease Control and Prevention suggests that binge drinking is happening at a much higher rate than previously thought. More than 38 millionU.S.adults participate in binge drinking, according to the new study. That equates to one in six people. Px20 members recently coordinated a press conference to raise awareness of the dangers related to distracted driving, in particular under the influence of alcohol or prescription drugs. This event was conducted in December to recognize National Impaired Driving Month. Several local and state representatives were in attendance. Michael Martin, Executive Director of the Native American Community Services, graciously hosted the event. Speakers included Judge Mark Farrell of Amherst Courts; Erie County Sheriff Timothy Howard; Andy Brocato, Senior Community Relations Manager of TOPS Friendly Markets; and Sergeant Daniel Dytchkowskyj and Chief Scott Joslyn from the Erie County Sheriff’s Office. For information on distracted driving and associated resources, contact Erica J. Boyce, Px20 representative, at 716.831.2298 ext.28. A recent Buffalo News editorial suggested that immediate action was needed by community members to educate youth about the risks of alcohol consumption. Fortunately, efforts to address this concern have already begun in Erie County. Sheriff's Underage Drinking Tip Line Leads to 7 Arrests in Alden! Erie County Sheriff Tim Howard is announcing the arrest today of a 7 individuals related to an underage drinking party in a backyard cottage on Exchange Street in the Village of Alden early this morning. 25 year old Henri Wilcox of Lamonth Road, of Castile, New York and 25 year old Richard Bellinger of Broadway Street, Darien, N.Y., were charged with procuring alcohol for persons less than 21 years of age. They were given appearance tickets with a return court date of June 6, 2011. The other five individuals were charged with unlawful possession of alcohol by a person under 21 years of age. They were also given appearance tickets and have a return court date of June 6, 2011. Sheriff Howard urges anyone with any information regarding underage drinking to call the underage drinking tipline at 1-800-851-1932. It is anonymous and manned 24 hours a day. The prom and graduation season is a time of celebration for teenagers and their families, providing lifetime memories. Unfortunately, it is also a time when teens encounter situations that may lead them to make bad decisions such as underage drinking or drug use. That’s why I am committed to making this year’s prom and graduation season safe and free of danger for our youth. We have been fortunate in Erie County in that we have not had any recent alcohol or drug-related fatalities as a result of prom and graduation activities. But now is not the time to let our guard down. As a community, we need to continue our vigilant efforts to do everything possible to prevent such tragedies from occurring. The Erie County Sheriff’s Office is committed to a zero tolerance standard for underage drinking. During this season, we will have ongoing saturation patrols consisting of officers aggressively patrolling the roadways looking for drunk or drugged drivers as well as traditional sobriety checkpoints. We also continue to use billboards, Underage Drinking Tip-Line (1-800-851-1932) and heighten public awareness on underage drinking. In addition, we are reminding merchants, hotels, vendors, restaurants, bars, night clubs, parents, and students about the dangers of underage drinking and to remember fatalities involving teens and alcohol are tragic and can be prevented because it is against the law in every state for young people to consume alcohol. Also, we encourage teens who want to extend their celebration to consider attending a party held by parents after graduation ceremonies where teens can experience a safe, alcohol-free gathering. High school students in Erie County are very fortunate to have parents, businesses, communities, and police who care enough to provide for a safe prom and graduation experience. Together, we will make a difference. If you need additional information or would like a presentation please contact our Underage Drinking Program Coordinator at 716-858-6305.